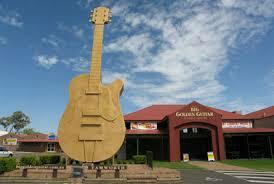 Tamworth is a city located in north-east region of New South Wales. The city is also called as First City of Lights being the first place in Australia to use electric street lights way back in 1888. Roadways Removals are professional Tamworth removalists specialising in interstate removals and is the favoured interstate furniture removals company choice in Tamworth. At Roadways Removals we’re proud of the interstate furniture removals service we provide. We’ll move you from Tamworth to any major town, or from any major town to Tamworth. We even offer interstate back loading removal services for the budget conscious; ideal if your moving dates are more flexible. Call us on 1300 799 902 for a comprehensive quote or to discuss the pre-moving and other interstate removalists services we provide to or from Tamworth today. For the highest Quality Tamworth Removalists, contact us today.